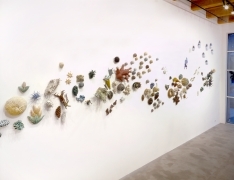 Rhona Hoffman Gallery is pleased to present “zoophyte”, the second solo exhibition by Chicago-based sculptor Chris Garofalo in which she debuts an installation of porcelain sculptures hung on the wall in various constellations. 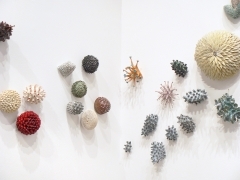 Struck by the seemingly endless potential of our planet’s evolution, Garofalo draws upon its unpredictable, apparently non- repeating, and partially accidental nature to create another and very personal ecology. 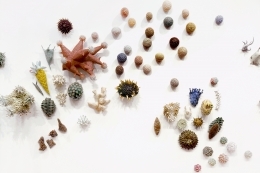 These biomorphic hybrids, suggesting, but not imitating, animal and plant forms also point out the similarity among nature regardless of scale or location. 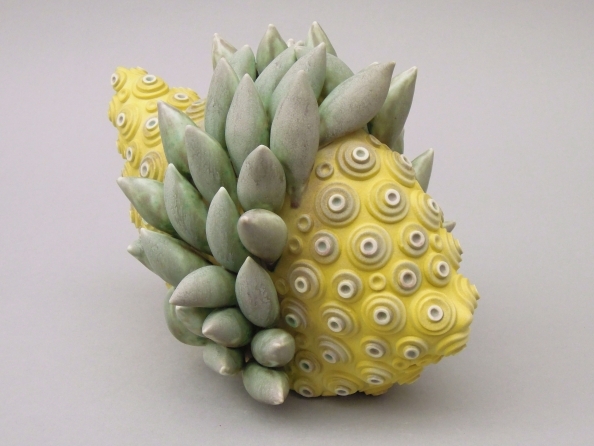 These sculptures are exquisitely glazed and as varied in form as the nature that inspires her.